The signs and symptoms of the liver cancer are often hard to diagnose until the cancer reaches to the second or even later stages. 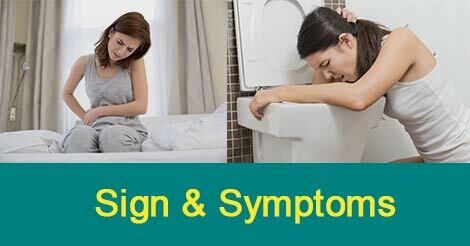 However, sometimes the signs and symptoms can be noticed in early stage too. The post here briefs you about liver cancer early stage symptoms which must not be ignored. It also throws light on some other symptoms of liver cancer which are generally diagnosed at later stages. There are some symptoms of liver cancer which are also commonly seen in other conditions as well and therefore are hard to be associated with something as grave as liver cancer for example feeling of generally being sick or lack of appetite. These often go unnoticed or are not given much attention. Weight loss without any deliberate effort should raise an alarm. It is said that weight loss of more than 10% of a person's total body weight is significant sign of any grave disease. Unless the person is following a stringent diet and there is no particular explanation behind the weight loss, then it is an alarming situation. In liver cancer abdomen can swell because of two reasons. Firstly, the liver gets enlarged from a growing cancer which can cause a swollen right side of the abdomen and secondly, a generalized swelling all over the abdomen due to building up of the fluid in the membranes of abdominal cavity. This condition is called ascites. Fluid accumulates there because of the congested liver. When liver get swollen it starts squeezing the blood vessels inside it. The blood is then forced to go back in the veins and this develops pressure. At this stage, fluid from the veins starts leaking causing the whole abdominal area to swell. Swollen veins on the stomach that can be seen through the skin and irregular bruising or bleeding. These signs and symptoms of the liver cancer can be the cause of any other liver problem, however, these symptoms should not be ignored and it is important to see a doctor o find the real cause of the problem and begin appropriate treatment. As the signs and symptoms of liver cancer are extremely difficult to pick up in the early stages, it is essential that each one of us undergo regular health checkups. Some reputed healthcare providers like Indus Health Plus offer affordable health checkup packages. With such detailed screening of the body, any life-threatening disease including liver cancer can be detected at an early stage. Get in touch with us by filling up the query form.